Out of Focus is an art commissioning project. Each instalment of OoF includes a new art work by a lead artist, and two contextualising contributions : one by an art professional, the other by someone from a different profession. Ariella Yedgar is an independent curator, writer and editor. Selected curatorial projects include ‘An Opera in Five Acts’, David Roberts Art Foundation, London (2013) and ‘A space without a use’, IBID Projects, London (2011). Text contributions include Flavio Favelli, monograph (Museo Marino Marini and Mousse Publishing, 2013) and ‘People on Sunday’, IBID Projects, London (2012). Rosie Cooper is Head of Programmes at Liverpool Biennial. In 2014, with Mai Abu ElDahab, she curated the James McNeil Whistler exhibition as part of Liverpool Biennial. With artist William Cobbing, she organises Bob Jubilé, a series of events, displays and commissions that looks at the life and legacy of concrete poet and organiser Bob Cobbing. This project will culminate in a book, published in Autumn 2015 by Occasional Papers. Prior to this, she was Public Programme curator at Barbican Art Gallery, and set up a public art gallery in a school in South London. 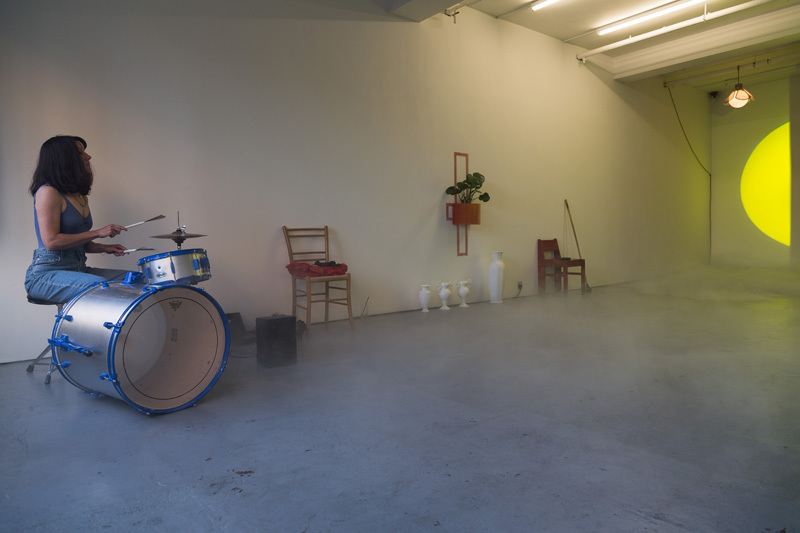 21 June, performances by Donna Huddleston and Lucy Pawlak, Waterside Contemporary, London. Jesse Ash and Cally Spooner, Edwina Ashton, Adam Chodzko, Côme Ciment, Winnie Cott, Jess Flood-Paddock, Anthea Hamilton, Donna Huddleston, Germaine Kruip, Jacopo Miliani, and featuring Orson Welles: The One Man Band, by Vassili Silovic and Oja Kodar. With Thom Andersen, Chris Burden, Mike Cooter, John Divola, Douglas Gordon, Johan Grimonprez, David Noonan, Hadrian Pigott, Laure Prouvost, Fergal Stapleton, Sturtevant, Nicole Wermers and Cerith Wyn Evans.